Adultery is used less and less often as a reason for divorce in the UK, as the less contentious grounds of unreasonable behaviour and two years separation tend to be used. But this doesn’t mean there aren't some serious concerns from divorcing couples about adultery and the impact it might have on the legal terms of their separation. Likewise I have the victims of adultery saying things like ‘They don’t deserve a share of the equity in the house’ or ‘There’s no way they can see the kids after what they’ve done’. The reality is that the reason for the breakdown of the marriage is rarely taken into account in either divorce or children proceedings so client’s soon understand that the reason for the breakdown is a side issue and not one to which the Court has much regard. The fact that one person has committed adultery does not alter their need to have a property to live in and income to meet their outgoings. The Court will not penalise someone for having an affair – irrespective of the ill feeling which may exist between the spouses at the time. Equally, the Court will not ordinarily consider that it would be wrong for a child to continue to see one of their parents because that parent has committed adultery. In fact, there is a presumption in favour of a child having regular contact with both parents so far as the Court is concerned. Beware the new relationship, however. 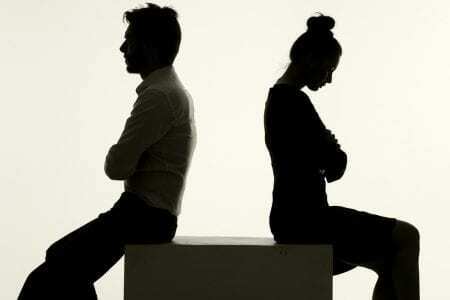 If you start a new relationship and you intend to remarry or cohabit with that person then the Court can have regard to the fact that you may now be ‘pooling’ your resources with another person which could be relevant to the division of assets between you and your spouse, and this might affect any divorce settlement. If you wish to introduce your new partner to your children then your spouse may object to this initially, but there is little in law to support their objection. The Court would expect the introduction of a new partner to be dealt with in a sensitive way and so it is generally best to only introduce your children to someone new once you are satisfied that the relationship is likely to be long term. But your ex can’t object simply because they feel let down or betrayed. If you are in any doubt as to your position please make sure that you seek specialist family law advice early on so you know exactly where you stand. And remember the one apparent anomaly in English divorce law – you can’t file for divorce on the grounds of your own adultery!